Ever since the end of Nigeria’s three-year civil war in 1970—a costly conflict that consumed an estimated three million lives—the nightmare scenario for the national defence and security establishment has always been a similar conflagration. In the elite imagination, the absolute worst that could happen would be a reprise of the war. Pundits and politicians alike habitually invoke the spectre of such bloodshed as a sort of national Armageddon. The expectation is that the republic will collapse in a fiery apocalyptic spectacle. The official consciousness has been so conditioned by this narrative, that our strategic institutions have trouble imagining alternate scenarios, much less recognizing them. The metaphor of the boiling frog, which describes the behaviour of a frog being slowly boiled alive, is apt. According to this axiom, if a frog is suddenly thrust into boiling water, it will jump out. But if the frog is put in water, which is then slowly boiled, it will not perceive the danger and will end up being boiled to death. The scientific basis for this claim is tenuous but it works perfectly as a metaphor for how the gradual escalation of danger can elude our notice until it is too late. It is about how institutions perceive and interpret risk. As with the frog that is suddenly thrust into boiling water, governmental reflexes are conditioned to instantly respond to rapid changes in the national security threat environment; to risks that could quickly “heat up the polity” in Nigerian parlance. Governmental reflexes, however, are far less astute at assessing the slow inflammation of the body politic. Since 1970, Nigeria’s national security architecture has been primed to respond to two specific threats—civil war and coup d’état. For security institutions still largely shaped by military dictatorship, the paramount consideration is the protection of the elite in power rather than the society at large. The prevalent operational paradigm is not, in fact, national security, but regime security. All other threats exist in a huge official blind spot. President Muhammadu Buhari’s administration has won accolades for “defeating” Boko Haram and its supporters have been quick to highlight its adroit management of national security. The reality, however, is different. According to the 2017 Global Terrorism Index, deaths attributed to Boko Haram reduced by 80 per cent—an improvement on the carnage of previous years. But for the second year running, Nigeria was ranked the world’s third most terrorized country. Boko Haram, which was the world’s deadliest terror group in 2014 with 6, 700 deaths dropped to third in 2016 with 1,079 attributable killings. Only one of its attacks made the top 20 most fatal terror attacks in the world in 2016 compared to 9 such attacks in 2014. While the administration has, indeed, amped up the military counterinsurgency effort and degraded the terror organization in the North East, Nigeria is a long way from being able to claim that Boko Haram has been defeated. Its numbers, bolstered by abductions of girls and boys from North East communities and relentless indoctrination, remain significant. 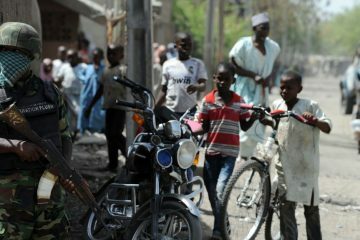 Since December 2016 when the military seized the group’s Sambisa Forest base, Boko Haram has carried out a spate of suicide bomb attacks in Maiduguri. The group has continued its reign of terror in outlying communities in Borno, Adamawa and Yobe where it has carried out abductions, raids, and ambushes of military and humanitarian convoys. Of concern is a discernible pattern in the terror group’s strategy. It prefers to use girls and women as suicide bombers while using boys and men for guerrilla attacks. According to a report authored by Jason Warner and Hilary Matfess for the U.S. Combating Terrorism Centre at West Point, 56 per cent of the group’s 238 suicide-bombing attacks between April 2011 and June 2017 were carried out by females. Indeed, the group has deployed more female suicide bombers than any other terrorist group in history. The Buhari administration has rightly pointed out that Boko Haram no longer holds any Nigerian territory. This was the case in 2014 when, at the apparent height of its powers, the group declared its caliphate in Gwoza. However, the insurgents do not need to hold territory; their current campaign of guerrilla attacks, ambushes, suicide bombings, and abductions is more than sufficient to render vast swathes of the North East ungovernable. Boko Haram’s strategic priority has shifted from control to disruption. Moreover, the ready claim that Boko Haram no longer controls any territory is true but is, in a sense, also misdirection. The real issue is that the Nigerian state itself has no effective control over many areas in the region and these ungoverned spaces provide room either for the group’s hibernation or for the gestation of new criminal enterprises. The chances of a quick return to normalcy for the beleaguered region are remote. Indeed, given all the extant indices—the sheer vastness of the terrain, the unguarded borders with three neighbouring countries, the enduring vulnerability of sparsely populated communities scattered across the state with the second largest landmass in Nigeria, the manpower deficits that make policing the region so challenging, the basic difficulty of a conventional fighting force facing off against a nimble guerrilla group and tens of thousands of orphans embroiled in an unfolding humanitarian catastrophe becoming a lost generation—the more likely scenario is that of a protracted counterinsurgency campaign that could persist for at least another decade. Rather than affirming the administration’s national security management credentials, the focus on the North East actually distracts from the troubling indices of the broader national reality. In the Niger Delta, the Nigerian state is practically sharing sovereignty with a host of armed non-state actors often collectively referred to as “militants”. For much of 2016, the Buhari administration was locked in a stare down with groups that Vice President Yemi Osinbajo once described as “economic terrorists”. For all its combative bluster, the administration failed to stop the crippling attacks on the nation’s energy infrastructure mounted by the Niger Delta Avengers. Instead, the government opted to extend the Amnesty Programme for militants which should have ended in 2015—a gesture which may be justifiably interpreted as appeasement and a hefty bribe in some quarters, but which appears to be the price not for peace but for a temporary lull in hostilities. 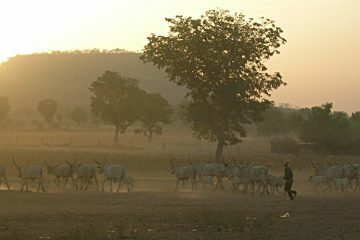 In the rural Northwest, particularly Zamfara, the reign of terror by bandits and cattle rustlers inspired the formation of the Yan Sakai vigilantes. In time, the vigilantes started acting with impunity and engaging in cattle rustling and other criminal activities that made them virtually indistinguishable from the bandits they had been created to confront. The Zamfara State Police command has accused the Yan Sakai of armed robbery and unlawful execution of suspected criminals. The Miyetti Allah Cattle Breeders Association has, also, serially accused the vigilantes of stealing their livestock and murdering hundreds of its members. Alarmed by its criminal proclivities, the state government outlawed the Yan Sakai and initiated a programme of disarmament and amnesty for all armed groups in the state in February 2016. In July, President Buhari donned military fatigues and flew to Zamfara where he commissioned “Operation Harbin Kunama”—a special military operation executed specifically to combat cattle-rustlers and armed bandits. But long before then, the situation had degenerated. The cattle rustlers began carrying out brutal reprisals on villages harbouring the Yan Sakai. In April 2014, vigilantes and local hunters from Kaduna, Kebbi, Zamfara and Katsina convened in Yar Galadima village in Maru Local Government Area to discuss the security of their communities. More than 100 gunmen on motorbikes surrounded the venue and opened fire, attacking the summit. According to eyewitness accounts, 200 people were killed in that assault. The police, however, disputed this body count, and insisted that the casualty figure was 72. Either way, it is the single deadliest incident in the conflict in Zamfara. In what is now a three-way conflict, Fulani militias have also taken to carrying out bloody raids on villages where the Yan Sakai reside. In December 2016, following a series of peace parleys organized by state authorities and the leadership of Operation Harbin Kunama, 1,000 militia members from 14 camps in Zurmi local government area, surrendered their arms and renounced banditry. On that occasion, the militia leaders said they had taken to violence as a result of the neglect of the Fulani communities by the state government and unlawful killings of the Fulanis by the Yan Sakai. They urged the state government to provide basic amenities such as dams, health centres, and schools to improve the living conditions of rural dwellers, particularly herdsmen. The militia leaders also complained that politicians and traditional rulers had converted all the grazing routes and reserves meant for herders into farmland. In the end, the militia leaders pledged to honour all the peace accords and suspend further reprisals, if the government pressured the Yan Sakai to stop extra-judicial arrests and killings of innocent Fulani nomads. Whatever one might make of the peace parley, it is reasonable to assume that the surrender of a thousand men suggests that there are more of such men where the surrendering militia came from. The trajectory of the Yan Sakai highlights the dangers of vigilantism and is reminiscent of the infamous Bakassi Boys—a vigilante group which was formed by Aba traders in the early 2000s in response to armed robbery and which carried out over 3,000 extrajudicial executions of suspected criminals. The continuing existence of the Yan Sakai despite its purported ban by the Zamfara state government suggests that state authorities have neither the will nor the capacity to truly clamp down on their activities. It is also telling that the famously unsubtle Nigerian military opted to engage in a peace dialogue with the bandits despite their marching orders presumably being to rout them. The war between Yan Sakai vigilantes and Fulani militias in Zamfara is part of a broader pattern of strife pitting communal paramilitaries against herders. In the Middle Belt, farming communities have been plagued by militant pastoralists in raids that have claimed several thousand lives in the past five years. These incidents have been recorded most notably in Southern Kaduna, the Jos Plateau, the Benue Valley, the Mambilla Plateau and in Adamawa. In the latter two instances, local militias carried out massacres of Fulani communities in June and November 2017. In 2015, the Global Terrorism Index ranked pastoral Fulani militias as the fourth deadliest terror group in the world, exceeded in blood-thirst only by Boko Haram, Isis and al Shabab. In 2014, attacks by the militias claimed 1, 229 lives. The plague of lawlessness is not restricted to Northern Nigeria. Since 2013, Rivers State has been terrorized by cult gang wars, characterized by a spate of grisly decapitations, particularly in Ogba Ndoni Egbema Local Government Area (ONELGA). Kidnapping is rife in communities across the state while these gang wars have claimed hundreds of lives. In March 2017, a similar gang war erupted in Cross River State with killings in Calabar requiring the deployment of troops. In early 2017, in the Lagos suburb of Ikorodu, the Badoo gang murdered scores of residents in senseless acts of homicidal violence that suggested it was a death cult. The gang’s reign of terror inspired a public resort to vigilantism with suspected gang members being lynched by irate mobs. As the gang’s killing spree continued, the Lagos State Governor, Akinwunmi Ambode, accused local chiefs of connivance with the criminal gang and involvement in the surging spate of kidnappings in the state. Only with the destruction of five of the group’s shrines by the police in September as well as the arrests of several suspected members, has a semblance of normalcy returned to Ikorodu. Lagos is often held up as Nigeria’s jewel in the crown and an isle of progress generally immune to the chaos that plagues other parts. However, according to the National Bureau of Statistics, it has the highest crime rate in Nigeria, recording 36.08 per cent of crimes reported in 2016. It is also a matter of concern that air strikes were required in July 2016 to target coastal areas straddling Lagos and Ogun states where militant gangs had set up base. The specifically targeted areas—Arepo and Ikorodu—were sites of fierce battles between the gangs and security operatives in August and September 2015 that claimed the lives of four police officers with the Special Anti-Robbery Squad (SARS) and 10 agents of the Department of State Services (DSS). Other than these flashpoints, there are situations that may be regarded as slowly approaching boiling point. 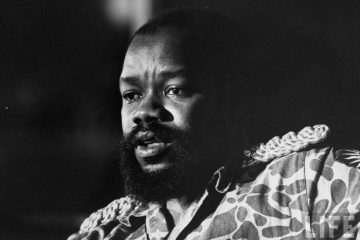 State violence against the Shia Islamic Movement of Nigeria (IMN) and the Indigenous People of Biafra (IPOB) may have triggered the radicalization of both groups. Through its heedless brutality, the Nigerian government may have laid the foundations for two new fronts of insurrection in the future. As the strength of the state wanes in Nigeria, communities are increasingly militarizing themselves and resorting to “self-help”. In both the Niger Delta and the North East, there is considerable overlap of insurgency and criminality—armed robbery, kidnapping and extortion. In other parts, we are likely to see more of such convergence. Criminal gangs with increasing access to military grade weaponry will aspire to more than crime and seek to create fiefdoms. In response, vigilantism will escalate as citizens strive to protect themselves. In 2017, bloody conflicts broke out between Biliri and Kaltungo in Gombe, the Fulani and the Mambilla people in Taraba and between the Wanikade and the Wanihem communities in Cross River. A protracted boundary dispute between Oku Iboku in Akwa Ibom and Ikot Offiong in Akwa Ibom recorded fatalities. These are fundamentally violent contestations of territory. As might be expected of a country that is still largely rural and agrarian, battles over land are still Nigeria’s most persistent resource conflict. The Nigerian state’s response to all this ferment has been the militarization of national security, law enforcement and public safety. In July 2017, the Chief of Defence Staff, General Abayomi Olonisakin disclosed that the military is confronting fourteen threats “ranging from terrorism, insurgency, kidnapping, cultism, to issues linked to armed robbery” with operations ongoing in all the geopolitical zones of the country. The military is currently active in 32 states reeling from mission creep as it undertakes a dual combat and constabulary role. It is a measure of how consumed Nigeria is with putting out internal fires that it is now apparently unprepared for external aggression. The serial incursions by Cameroonian gendarmes into Nigerian territory, the most recent of which was in October 2017, have been barely acknowledged by the Federal Government. In the face of these conflicts, the federal government’s strategy of militarization has reduced the police to an impotent bystander and spectator even as more communities adopt vigilantism. What is remarkable about the rise of vigilantism is the level of official endorsement it enjoys. A number of state governments tacitly and overtly support vigilante groups that effectively serve as shadow police forces. Governor Ayo Fayose of Ekiti declared that he would equip local hunters in the state to combat herders in what he described their “war against Ekiti” and enforce a ban on open grazing. In June 2013, Governor Yari of Zamfara announced plans to arm the vigilantes in the state as a means of confronting the menace of banditry. Although that announcement ignited heated debate on the floor of the senate, observers noted that the governor had merely expressed openly what many of his colleagues are already doing surreptitiously. The Police subsequently issued a statement effectively asserting that Governor Yari’s proposal was illegal under the Firearms Act. The endorsements of vigilantism by state governors indicate their own lack of confidence in the formal security apparatus of the state. Indeed, the Firearms Act’s prohibitive constraints on of gun ownership coupled with the inefficiency of the Police and widespread insecurity have only paved way for a thriving weapons black market that has left the country awash with guns. The federal government’s failure at gun control points to a larger truth. Hollowed out by graft and incompetence, the Nigerian state no longer has a monopoly of violence. It can no longer project its will across the length and breadth of the nation. Violence has been privatized by a host of non-state actors many of which are anti-establishment in character and anarchic in orientation. What emerges from a frank assessment is that the biggest threat to Nigeria is neither a formal secession by any region nor coup d’état but the pervasive breakdown of law and order and the very apparent inability of the state to guarantee the security of life and property. 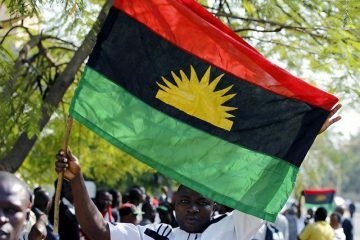 The clear and present danger to Nigeria is not a resurrected Biafra or a Jihadist caliphate. 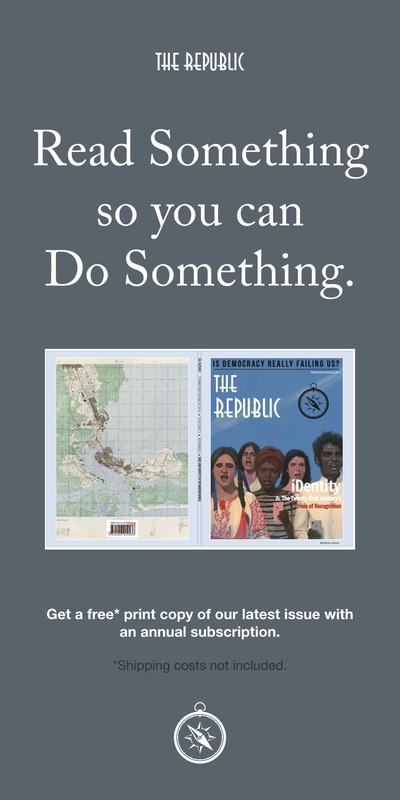 The republic risks collapse not through one epic separatist cataclysm but rather through death by a thousand cuts in various locales where it is now haemorrhaging sovereignty and legitimacy. The Nigerian state may have been right to fixate on separatism as the central threat to its existence, but it has been focused on the wrong manifestation of this threat. When hundreds of communities take to self-help in furtherance of their own survival and with demonstrable lack of confidence in the security umbrella of the Nigerian state, that too is a form of secession. The state’s abject failure to provide public goods such as healthcare, power supply, potable water, employment and education has been well documented as has the consequent adoption of these governmental tasks by private citizens. The last bastion of state capacity has long been security, but this is no longer the case. What happens when millions of citizens extend their libertarian imperatives to providing their own security and their own justice? 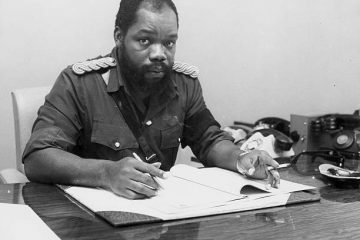 If the unique sovereign claims of a nation-state are predicated on its ability to secure those within its territory from external and internal danger, then what can the proliferation of communal self defence mechanisms in Nigeria be but the expression of multiple sovereignties within one supposedly sovereign entity? And is this not then a form of disintegration? Somalia offers an instructive portrait. A national government exists in the Somali capital, Mogadishu, but the rest of the country is submerged in anarchy overrun by terrorist insurgents, warlords and pirates. Similarly, for the foreseeable future, a national government will exist in Abuja with all the customary pomp and pageantry, but its authority will continue to steadily shrink. It will have all the ornaments of state power but continue to suffer an erosion of its capacities. To travel from Abuja to state capitals and then to outlying communities is to encounter ascending degrees of statelessness. The further one is from Abuja, the more nominal the existence of the Nigerian state. The backdrop of the slow and steady collapse of the state is the dereliction of governance by political elites. Without a commitment to distributive and retributive justice, the state will remain unable to guarantee a sustainable peace. We will exhaust material and human resources that should be used for development fighting low and medium intensity wars across the federation. In the Niger Delta and in the North East, Nigeria is already battling two or more generations of armed malcontents. As the Oxford scholar, Paul Collier, wrote in 2009, “Future civil wars will take the form of a government pitted against a private extralegal military grouping. They will variously be called rebels, terrorists, freedom fighters, or gangsters, but their essential characteristic will be the same. These wars will also be a throwback, but to a very different period of history; the time before nation-states cohered.” Nigeria risks becoming a theatre of multiple variants of such wars. For the foreseeable future, parts of Nigeria will oscillate between conflict and post-conflict phases of anarchy. In the field of international conflict, the use of the military is typically designed to create space for diplomacy to foster lasting solutions. In the context of internal security operations, the military can only be used to create space ultimately for political and governmental approaches to nurture a sustainable peace. Over the years, Nigerian administrations have wielded militarization as an end in itself while demonstrating no will to address the governance deficits that incubate radical resentment with the status quo. Instead of embarking upon serious governance reforms, the elites are happy to use the military essentially as night soil men cleaning up the mess created by their venal politics. Thus, while troops risk life and limb on multiple fronts, their principals continue the feeding frenzy and delinquency that created those crises in the first place. If this persists, a military revolt could occur within the next two decades as warriors tire of dying for a reprobate political establishment. Even now, the casual resort to the military for even the most basic law enforcement functions may have laid the foundations for a creeping coup d’état. Impatient army generals could one day cite the ineptitude of civil authorities and widespread loss of faith in political institutions as bases for seizing power if not nationally, then possibly in regional spheres of operation. In January 2016, the Army announced the establishment of two new divisions—the 8th Division which will operate in Northern Borno and especially bolster counterinsurgency operations in the Lake Chad area long vulnerable to illegal cross-border infiltration by undesirables and the 6th Division in Port Harcourt to secure the Niger Delta coastal area and its critical energy assets and infrastructure. According to the Chief of Army Staff, Lt. Gen. Tukur Buratai, over the next 8 years, the army will more than double its current personnel strength by raising it from 100,000 to just over 200,000. Buratai said that the increment was necessary because Nigeria’s contemporary security needs and her territorial size impose demands that are presently beyond the army’s manpower capacity. The proposed increment would return the army to near post-civil war troop levels (256,000) and represents a reversal of Obasanjo-era policy, which focused on reducing the army’s size to avoid having idle soldiers. It also indicates a conviction at the highest levels that even in the absence of an external aggressor, there exists an abundance of internal adversaries that can only be addressed by martial force. And yet, doubling down on the use of the military for policing civilian populations is hardly a positive development. It is doubtful that a country that has to be serially pacified can also be effectively governed. History offers a profound lesson in the physics of decline. It is true that Rome was not built in a day. Neither did it fall in a day. That mighty empire’s collapse occurred gradually over the course of more than two centuries with most of its elites too obsessed with self-serving politics and the past glory of the realm to discern its steady decay. In Nigeria, the danger is that long-term governmental dysfunction has been masking terminal decline. Consumed by the political intrigues of the day and the relentless pace of the news cycle, we do not perceive the slow poison coursing through the veins of the body politic, paralyzing the state, dulling its reflexes, locking it stealthily into what will be recognized too late as the onset of rigour mortis. This future is not written in stone, but political elites and the national security establishment need to overcome the limits of official imagination if they are to apprehend the threats confronting the republic. The Nigerian state must immediately recover both its legitimacy and its monopoly of violence. As is the case with all governments, this legitimacy derives not from force of arms but from its ability to secure the people within her borders and guarantee their welfare. In this regard, the challenge is to provide enough social and economic opportunities for a rapidly growing young population. In concrete terms, this means creating an enabling environment and supplying the tools with which Nigerians can achieve self-actualization and social mobility. Concurrently, and as a matter of urgency, the state must establish a law and order regime. Why this is necessary is self-evident. Too much of the country resembles the nineteenth-century American Wild West, frontier societies whose Hobbesian anomie is memorialized in cowboy mythology and Hollywood westerns. Reclaiming the country from the forces of chaos calls for a comprehensive reform of the law enforcement and national security establishment. It also demands recognition that the military is an institution of last resort—the last line of the nation’s defensive matrix. Using it as an instrument of first resort for routine enforcement tasks not only degrades the military as a combat institution, but also places it in situations in which deficiencies in civil-military relations diminish public regard for the armed forces and the state. is a writer, analyst and consultant based in Nigeria.